Urdu Poetry – Are you fraternized by the mention of beloved and beauty in the poetry of Mirza Ghalib, or feel the pain of heart broken in the poetic collection of Mir Dard and Mir Taqi Mir? 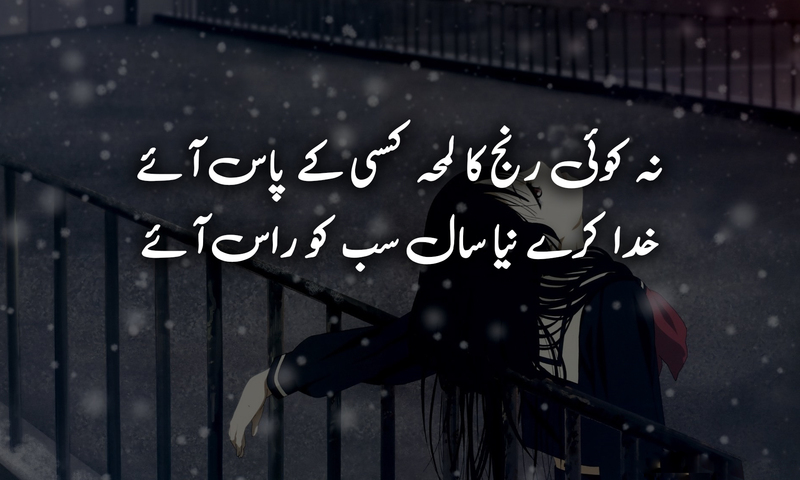 If yes, then this Urdu poetry page is designed just for you. Urdu Poetry is the language of heart; emotions and feelings which are transformed in the shape of words. Urdu poetry draws its existence from past 18th and 19th century and is derived from Arabic and Persian origin. Renowned poets like Mirza Ghalib, Mir Dard, Mir Taqi Mir, Akbar Allah Abadi, Meer Anees, and Allama Iqbal have laid the foundation of Urdu poetry in their respective eras. Urdu poetry is enriched with such true emotions and feelings. It has been observed that Urdu poets in the past used to say poetry that depicts and highlights the social, cultural issues of their era. Most of those poets still, emphasized on describing beauty of their beloved, and emotions of broken heart. The Urdu poets are known for reviving romance, culture, social & political issues in the form of Urdu poetry collections. Urdu poetry is considered as an integral part of Pakistani culture. Allama Iqbal and Mirza Ghalib are considered to be the flag barrier of Urdu poetry. Iqbal Urdu poetry is based on philosophy, love, and for encouraging Muslims of India. Mirza Ghalib is regarded as the greatest Urdu poets of all times. They have contributed incredibly in the form of Ghazal, Hamd, Nazm, Ruba’i, Shayari and much more. Apart from them, Mir Taqi Mir and Mir Dard are known for romantic Urdu poetry and sad Urdu poetry. Several other maestros of Urdu Poetry have been passed who added some valuable pearls and gems to the poetic collections from time to time. New subject matter, themes are used by new poets that has revolutionized Urdu Poetry. The various forms of Urdu Poetry available for the readers includes Ghazal, Hamd, Marsiya, Naat, Nazm, Qasida, Masnavi, Naat, Qawalli, Ruba’i, Shayari and much more. The poetry lovers can stock their libraries and houses with the enormous treasure of Urdu poetry. The collection of Urdu Poems in the form of Dewan and Kuliyat are preferred by those who have a taste for traditional poetry. The Urdu poetry collection of Ghalib and Iqbal are researched, read and shared by masses worldwide. The modern Urdu poets possess a progressive and practical state of mind that is far from the narration of female beauty and romance. Urdu Ghazals has been associated with emotions earlier, but now the trends are changing to give it a completely new domain of expression. Many Urdu poets become popular because of their Romantic poetry include Ghazal Ahmed Faraz, Habib Jalib, Sagar Siddiqui, Muneer Niazi, Mohsin Naqvi, Farhat Abbas Shah and many others. Urdu ghazals and poetry are included in Bollywood movies. The archive of HamariWeb provides the evergreen Urdu poetry collection for the viewers. You can even search, post, read, and share the Urdu Shayari based on various genres that includes Eid poetry, sad poetry, patriotic poetry, love poetry, rain poetry, mother poetry, Islamic poetry etc. People with great taste in poetry are glued to this page. 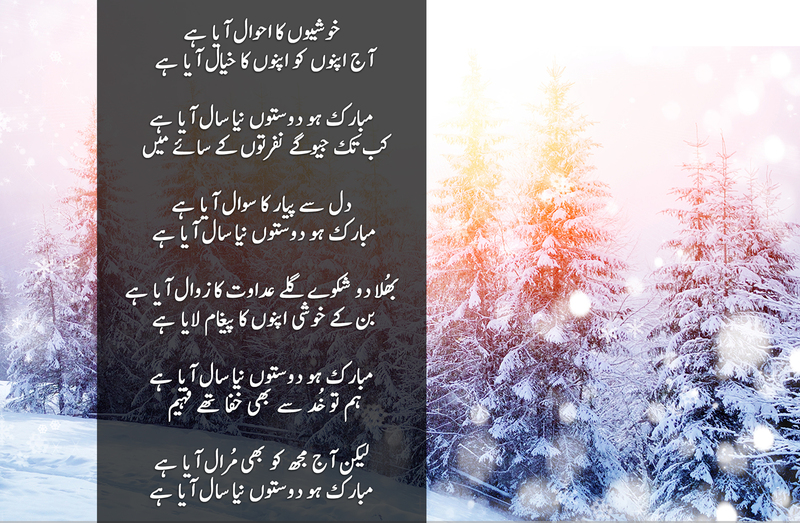 Find some of the finest and latest collection of Urdu poetry on HamariWeb.